Ferguson 1000 Jobs held a job training session Saturday at Ferguson Heights Church of Christ in preparation for the hiring event on February 28. During the training they discussed resume writing and practiced mock interviews. 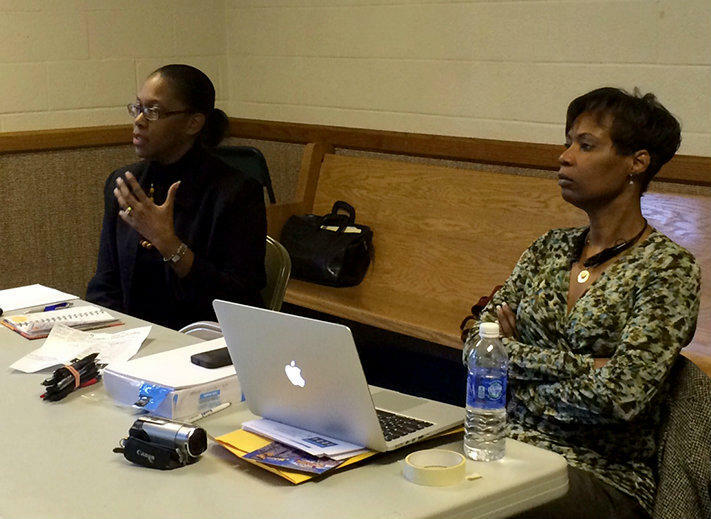 Monica Johnson (left) and Kimberly St. Clair lead a job training session for Ferguson 1000 Jobs on Saturday, February 14, 2015. Kimberly St. Clair helped lead the training. She said through the training they will identify the skills of applicants and the barriers they have to finding employment. Then they will go back to the companies participating in the hiring event and find a good fit for the applicant. “You know if you have a barrier and this particular employer is not going to hire you cause of that barrier then there’s no need to put you in that line,” St.
St. Clair said some of those barriers include transportation problems, lack of experience or education, and legal issues such as having a felony record. Robert Crawley, 51, is dealing with the last barrier. He said he has been out of prison for a year and a half and has been looking for work for six months. 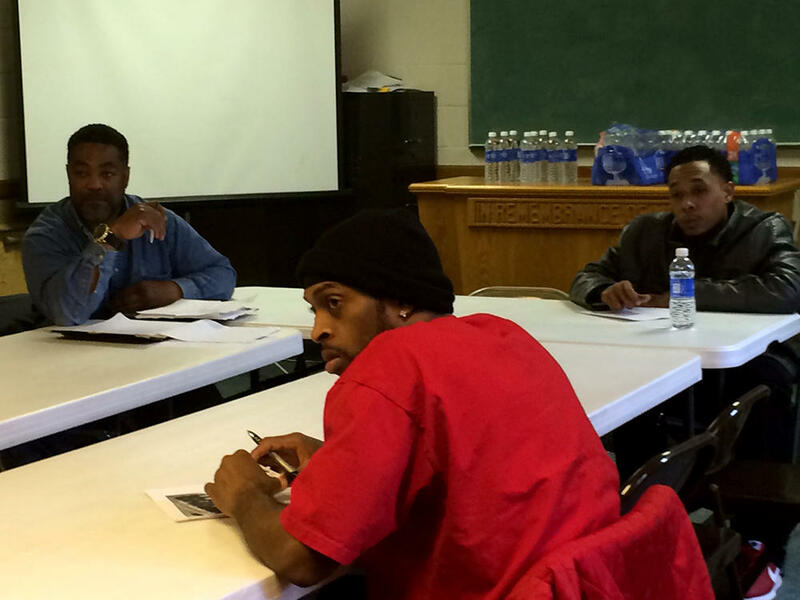 Clockwise from left: Robert Crawley, Donell Dismukes and Keith Chambers learn about resume writing during a training session organized by Ferguson 1000 Jobs on Saturday, February 14, 2015. Crawley said that it was especially helpful to him that the instructors acknowledged that everyone has barriers to employment and then talked about finding ways to get past those barriers. But no matter the barrier, instructor Monica Johnson advised the applicants not to lie. Just four people attended the training on Saturday. St. Clair speculated that the cold and snow might have kept some people away. “We’re going to do more publicizing and we anticipate a bigger crowd next Saturday (for their second training session).” St. Clair said. Former gubernatorial candidate Dave Spence started Ferguson 1000 Jobs with the aim of doing just that—connecting people to jobs. Rather than reinvent the wheel, St. Clair said the private organization seeks to be a resource facilitator of sorts—cataloging existing opportunities and helping people take advantage of them. Ferguson Mayor James Knowles says his city needed help from the Missouri National Guard but didn’t get it -- and he doesn’t know why. 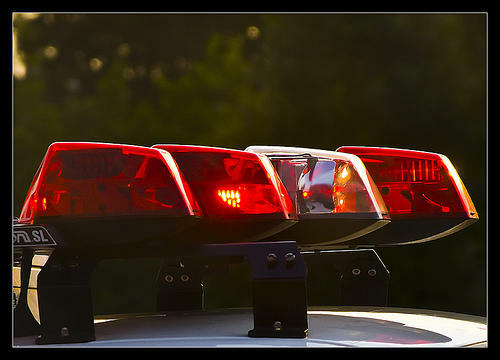 During more than two hours of testimony Wednesday, a legislative joint committee heard testimony on the state’s response to the grand jury announcement following the shooting death of Michael Brown by former Officer Darren Wilson.